Sunday December 9,2018-Nandi Hills MP, Alfred Keter has said Deputy President William Ruto should take the blame over arrest of Kalenjin community state officers who are accused of engaging in corruption. For the last six months a number of Kalenjin community professionals have been arrested and arraigned in court for stealing public money. Those arrested and arraigned in court includes former Kenya Power chief executives Ken Tarus and Ben Chumo, former National Cereals and Produce Board head Newton Terer, former national hospital insurer head Simeon Kirgotty and Kenya Pipeline Company MD, Joe Sang. 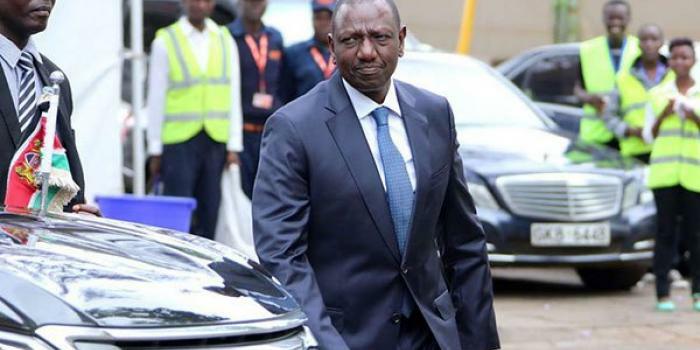 Though some leaders like Nandi Senator , Samson Cherargei have been claiming that the prosecutions has been targeting Kalejin community , Keter believes that the professionals have been stealing from public to fund Ruto’s 2022 presidential bid. “Nobody is targeting anybody. The unfortunate part is that some of these Kalenjin CEOs and heads of parastatals are being used to fund 2022 campaigns, with set money targets to be given weekly, and monthly. They have been forced to do unscrupulous activities to meet these targets,” said Keter.